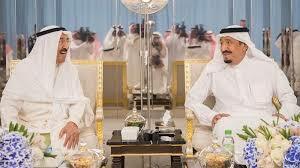 Saudi-led group to discuss Qatar’s response in Cairo – Royal Times of Nigeria. Bahrain, Egypt, Saudi Arabia and the United Arab Emirates are set to meet to discuss the Qatar crisis, a month after they severed ties with the Gulf state. The meeting of foreign ministers in Cairo comes on the day a deadline expires for Qatar to accept a list of demands or face further sanctions. The demands to Qatar including shutting down the Al Jazeera channel and scaling down ties with Iran. Qatar has called the list of demands “unrealistic and not actionable”. Qatar is accused of destabilizing the region by supporting extremism and terrorism – which it denies. The meeting is scheduled to begin later today, with a press conference coming afterwards. 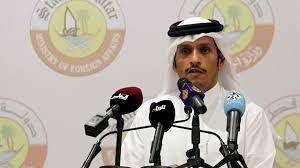 On Monday, Qatari Foreign Minister Sheikh Mohammed bin Abdulrahman Al Thani handed an official response to Kuwait, which is mediating in the row, but its contents have not been disclosed. In a joint statement early today, Saudi Arabia, the UAE, Bahrain and Egypt said they have “received the Qatari response via Kuwait,” adding that Doha will get a reply in due time.